13700 Hickory Run Ln, Fort Myers, FL.| MLS# 218001254 | Southwest Florida Residential Real Estate for Sale. BONUS! 1-year home warranty included. Best kept secret location in South Fort Myers. 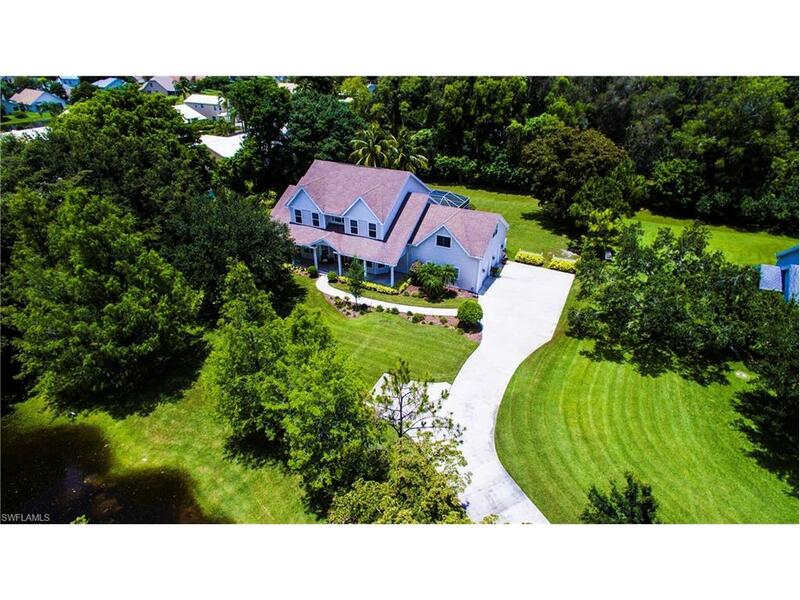 Come see this little bit of southern charm in this rare and unique custom built home on 1.5 acres located in the heart of South Ft. Myers just off Daniels Parkway. Hickory Run is a gated tucked away hidden gem community of only 13 beautiful homes. The perfect place to raise your family! Peaceful living that is so close to everything, I-75, hospital, shopping - new Whole Foods, RSW airport, etc. This 2-story 4025 square foot home boasts 4 bedrooms, 3.5 baths - master on first floor, PLUS den/office, and loft area - enough space for everyone. 2.5 car garage with storage. Features include hardwood flooring and tile, crown molding, granite counter tops, SS appliances, built-in oven/microwave, cooktop, pullout pantry, breakfast bar, walk-in closets in all bedrooms, central vac, storage galore, soaring 20' ceilings in family room and foyer, 9' ceilings everywhere else, salt water pool, laundry room, pool bath w/pedestal sink, outside shower. Security System - monitored. Fenced in area for pets. New A/C units.